Guest post by Anthony Morelli, Director of Product Management at Lucid Software. If you’ve shed tears and gained a few grey hairs trying to map out your network and systems infrastructure, we feel your pain. Last October, Lucidchart staff engineer David “Torgy” Torgerson needed to produce a diagram to demonstrate PCI compliance, and he was dreading it. The task would require his undivided attention for two whole days. He also knew that all of the information he pulled would be out of date almost immediately. 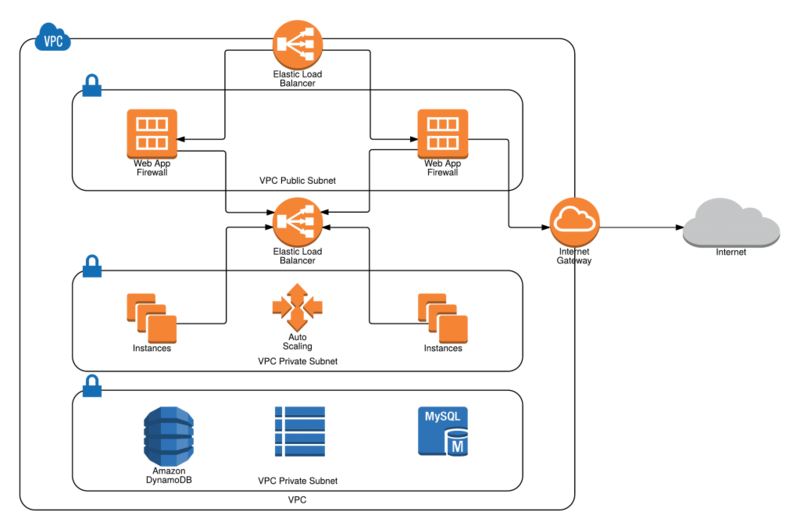 Torgy eventually spent over 12 hours digging through AWS trying to locate pieces of the infrastructure within AWS, such as instances and load balancers, and determine how they all fit together to piece together a diagram from scratch. The only alternative to this ordeal was to work by memory, but that risked serious human error. Having personally felt the pain of compliance, several of our engineers talked to Torgy to determine what sort of tool would make his life easier. The result? Lucidchart’s AWS architecture import. By importing our own AWS architecture into Lucidchart, Torgy’s two-day nightmare became a simple two-minute task and saved us thousands per year in assessments and compliance. But the Lucid team didn’t stop there. They took the AWS import further and developed an auto-layout feature that would automatically turn AWS infrastructure into organized, professional diagrams for each Virtual Private Cloud (VPC) and its contents. So naturally, when Torgy needed to complete another extremely technical, time-consuming diagram, this time to show the AWS Partnership Program, he tried it out. When you map out your AWS infrastructure in Lucidchart, it only takes two minutes to leave an impression. 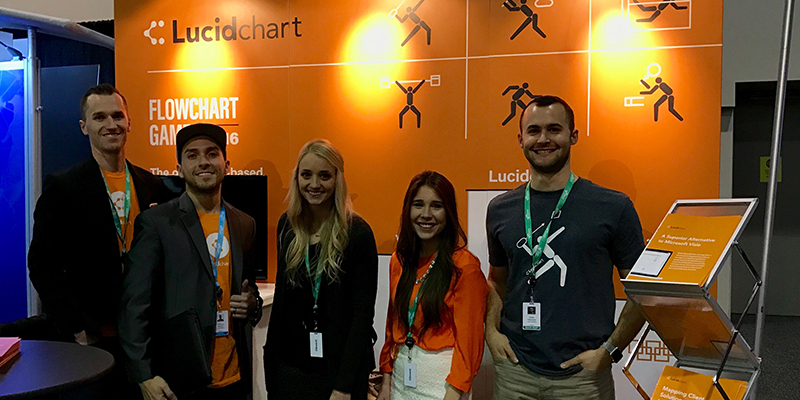 Whether you need to demonstrate PCI compliance like we did or plan network usage for your growing company, Lucidchart does the work for you. AWS provides a physical view of your network—it gives you a list of devices or instances, but it doesn’t show you how those devices interact. From initially building your infrastructure to troubleshooting, Lucidchart will show you the logical view so you can keep your network functioning smoothly and serve your users as best you can. As your company grows, you can see your existing network and plan for more oncoming traffic easily. When onboarding new employees, offering a verbal explanation of your network or attempting to draw it out on the spot can result in more confusion than clarity. However, when you provide a polished visual, new team members can gain understanding quickly as they clearly identify all the different network devices and connections within your AWS environment. When you import your AWS architecture in Lucidchart, you can easily create these visuals and share them throughout the organization. In 2016, 1.4 million data records were compromised worldwide due to data breaches. So it’s not surprising that most security standards require companies to provide up-to-date diagrams of their networks to prevent data breaches and protect user information. But it’s no secret that doing so can be expensive and time-consuming. Lucidchart’s AWS import lets you plot out your AWS environment in minutes, leaving you with a polished and professional visual that includes all network components within the scope of PCI and their appropriate connections. And any time infrastructure changes, you can simply update the existing diagram rather than starting from scratch. So whether you’re making the transition to the cloud with a hybrid infrastructure, meeting PCI compliance, or onboarding your new employee, make it easier with Lucidchart’s AWS import. Create visuals that will not only simplify the complex but also make a lasting statement.